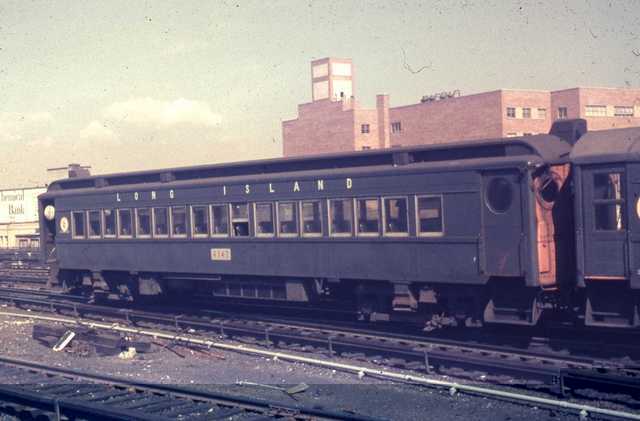 Except for special name trains, steam locomotives only had “ LONG ISLAND ” on their tenders. Heralds really came into use with the arrival of diesel locomotives. 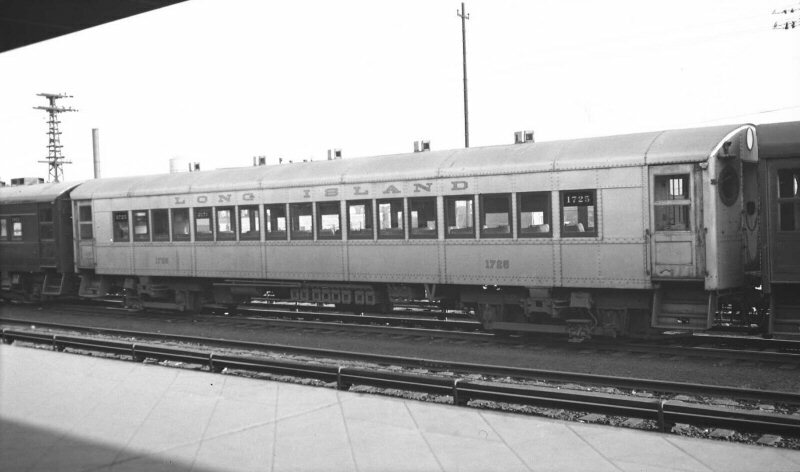 When the first diesels arrived, they only had “ LONG ISLAND ” in gold lettering, a practice most likely used as on the steamers. 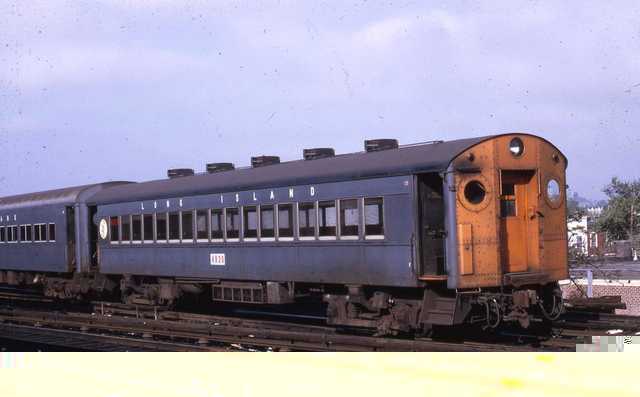 The first herald for diesels appeared in November 1949 when Alco RS-1 #465 wore the new Tichy herald along with the Tichy paint scheme. This was applied to passenger locomotives only. 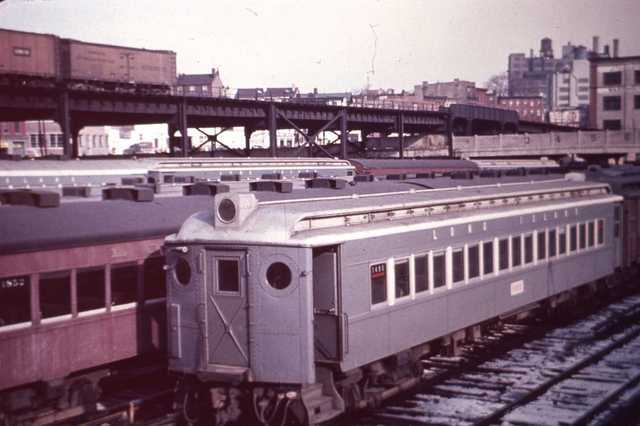 The FM C-Liners arrived in 1950 with this paint scheme already applied, as did the H16-44s upon their delivery. Delux gold font lettering was used DULUX gold lettering in Penn Roman font was used with the Tuscan Red color scheme. 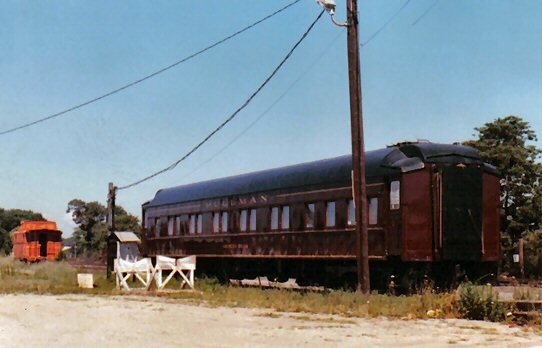 Here's a photo courtesy from Art Huneke's website which shows the color scheme in question on an MP41 car. 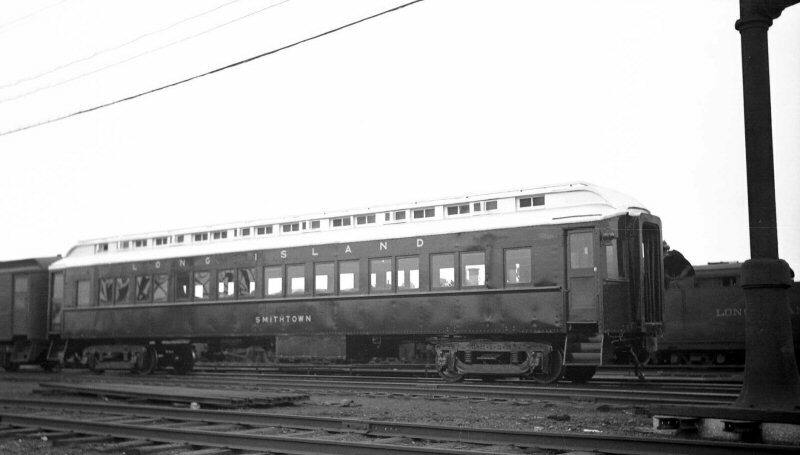 While it's not an MP54 car, the color scheme was identical: While the paint has been faded and, perhaps, the color dies as well, you can see the Penn Roman lettering and car numbers on the side were DULUX gold lettering and the car numbers stenciled in the end windows were white. This was for the Tuscan Red scheme only. Dulux Gold was a DuPont color that simulated real gold for lettering. 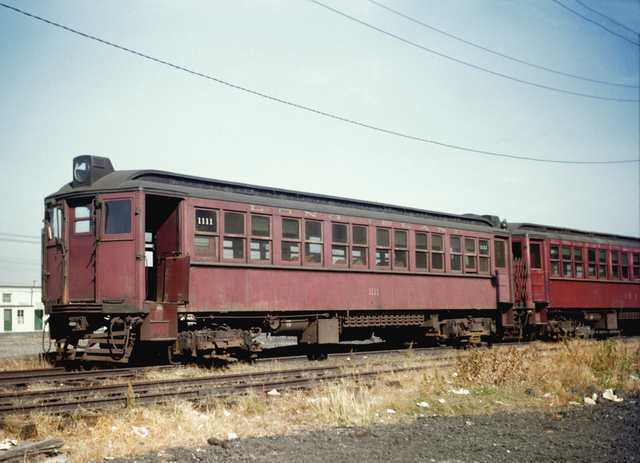 The Tuscan Red cars used that after real gold, or gilt, lettering got too costly. The letter style (or typeface, as we usually speak today), was a PRR design known today as Penn Roman - not sure what its original name was. Tichy and Goodfellow used Futura, which is a very famous design - it is the letter design chosen for the cornerstone of the new Freedom Tower at WTC. Tichy had white numbers underlined in red in the windows, white lettering and perhaps red or gray (can't determine from this photo) numbers on the car sides. 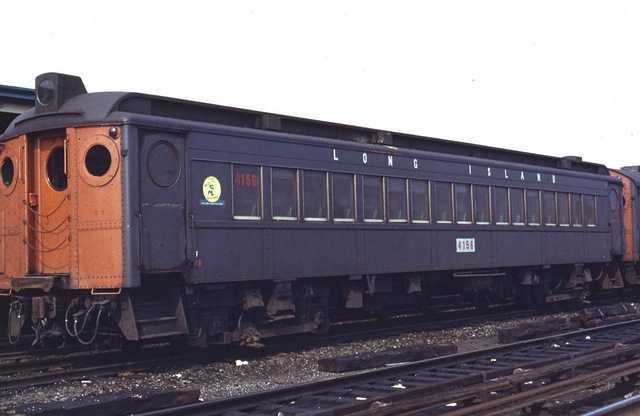 MU20 #4147 Jamaica 06/69 Goodfellow era paint scheme had white letters and red side numbers and RED car numbers stenciled in the end windows. 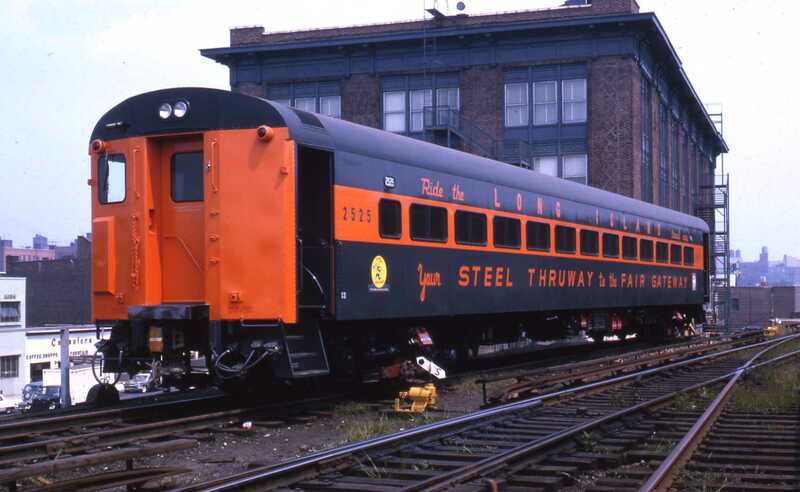 MP75 #2525 in New York World's Fair colors.